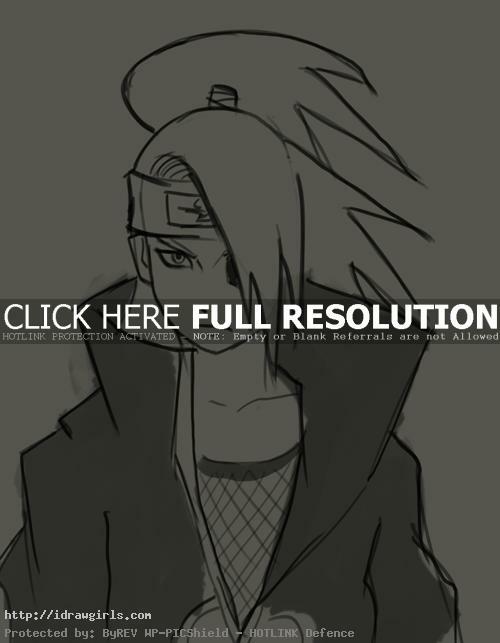 How to draw Deidara from Manga and Anime series Naruto. 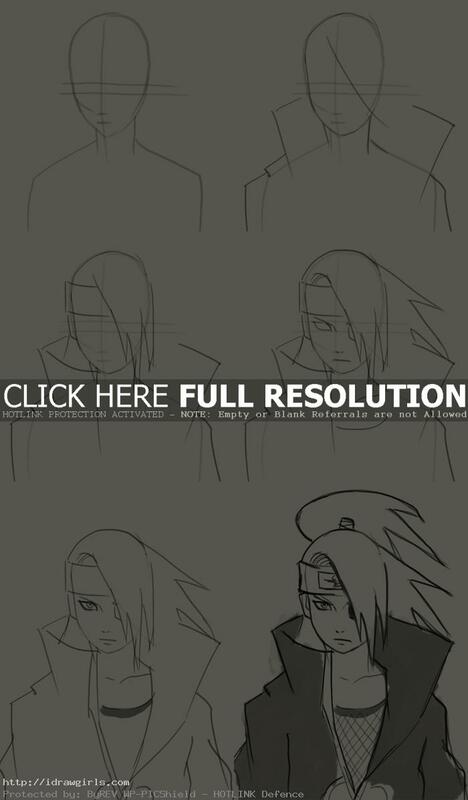 Learn how to draw Deidara from Naruto step by step easy to follow tutorial. Learn basic drawing and sketching anime technique for manga, cartoon and comics. In this tutorial you will learn to draw an Manga character Deidara along with art tips from a professional concept artist and illustrator Xia Taptara. It is a lot easier when you start drawing a character and you can break down each part of the face in to simple geometry shape in the beginning. You also have to make sure the distance of each elements is as accurate as possible. That can be done by carefully measure with your eyes or guess your best at it. It will make your drawing process a lot easier once you observe the over all shape of the character you are trying to draw. I usually start of using sphere or circle as a base for character’s skull, then next step would be figuring out the next geometry form to fit into the image. Deidara is a missing-nin from the Hidden Rock Village who specializes in explosives. He’s able to manipulate clay and forms it into different animal-like shapes to attack his opponents with. The clay is infused with chakra and is detonated from a remote distance by Deidara, using the command “Katsu”, which translates into “Detonate”. Deidara is also the one who starts the assault on the Sand Village in order to abduct the Kazekage, Gaara. He succeeds in his mission and was able to obtain the jinchuuriki Gaara. Here is a final drawing of Deidara from Manga Naruto. Below are step by step drawing process Manga drawing tutorial. Step one, you can see that I just draw basically the base sketch lines for Deidara’s head structure. So that I can us it to build more his facial structure and more detail. Step two, Once I have the head constructed, I will add vertical line to split the face in half measurement. Then I will draw horizontal line across his face half of the head’s height for establishing eyes’ base. Then I will sketch in eyes, nose and mouth as instruct on the video tutorial. Step three, I keep refining the base sketch so that all the elements will be at the most accurate positions. Then I drew in the hair style, headband, and the collars. Step four, I drew both eyes within the gap on the parallel horizontal lines. In step four and five, I just added more detail according to his character design.